Bank Independent has seen growth over the last few years, however, they wanted to take advantage of the audience on AL.com. 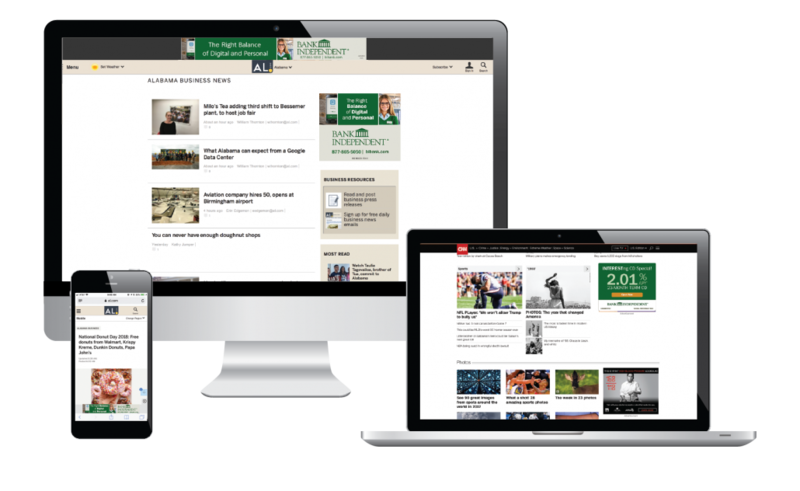 Upon partnering with Alabama Media Group, Bank Independent saw a need to increase brand awareness in new markets while continuing to grow in current areas. They wanted to display both a branding message and promote their CD rates. The digital awareness campaign starts with sending Bank Independent’s message to a strategically designed target audience of entrepreneurs and business decision makers. 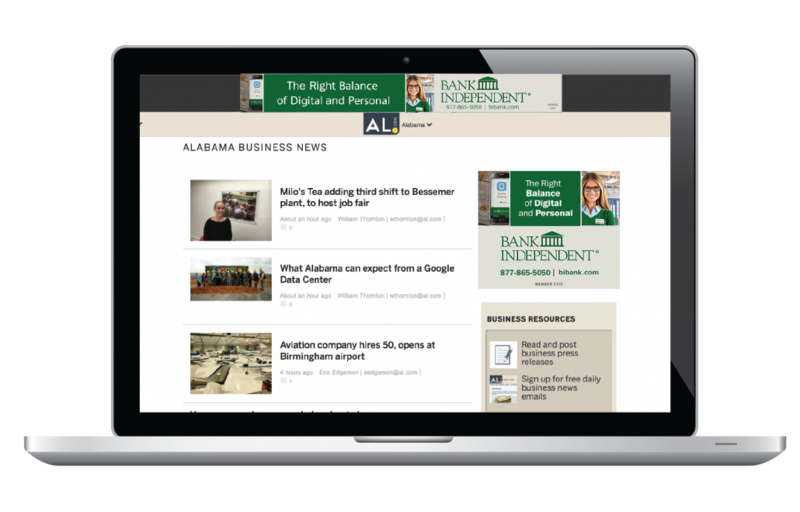 These users are targeted with display ads on AL.com to get in front of new users where Bank Independent has newly opened locations in Huntsville, Athens and Decatur. Paired with Responsive Rich Media ads that expose the user to video, users were then re-messaged with display ads on the extended network.